Anyone who has tried to remove pet stains from their carpets knows that this can be nearly impossible. 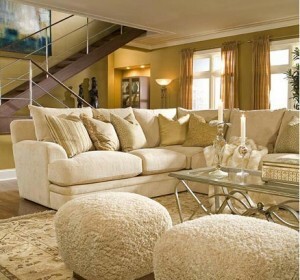 The carpet may appear fine after you clean it initially, but the stain mysteriously reappears days or even weeks later. Even after multiple cleanings the stain can linger, an unpleasant reminder of your pet’s transgression. One of the reasons pet stains are so difficult to clean is the sheer volume of urine they leave behind. If you spill a few ounces of a drink, it can absorb into the fibers near the surface of the rug. These are easily cleaned with a steam cleaner, allowing you to remove every last ounce of liquid and have a clean rug. Pet urine, on the other hand, is a much larger amount and it has some force behind it. Quickly absorbed into the visible carpet fibers, it will soon penetrate to the deepest layers. It will soak the backing, move through the padding and eventually find its way to the subfloor. Normally, people clean pet stains until they can no longer see the stain on the carpet fibers. It will appear clean for a few days, but liquid of any kind will migrate to dry surfaces around it. This means that as the carpet fibers dry, the urine in the backing will slowly start to wick back into the fibers. This is why stains mysteriously reappear days or even weeks later. Slow progress is made every time you clean the carpet, and you may not ever remove the entire stain. When your pet has an accident on your floor, the first step is to remove all the liquid through blotting or by pulling it up with a quality steam cleaner. You don’t want to add any cleaning solutions at this point; you simply want to focus on removing every drop of urine. When you can no longer pull up more liquid with the towels or steam cleaner, you can rinse the area with cool water. Continue the removing process until you have pulled up all the liquid. Follow the cool water rinse with a quality cleaning solution. You can spray special enzyme cleaners on the rug, use formulated pet stain shampoos or just use some diluted white vinegar. Any of these solutions will remove the scent so your pet won’t be tempted to return to the scene of the crime. Be sure to use clean water to remove any cleaning residue and leave the carpet fresh and clean. If your attempts to remove pet stains at home have failed, consider calling High Quality Carpet Cleaning. We have high power equipment that can penetrate the fibers and the carpet backing, removing all traces of the urine and eliminating the frustrating ghost stain. Certified by the “Institute of Inspection Cleaning and Restoration”, we can treat most stains in your carpet and leave it looking fantastic. Our main goal is your satisfaction with our services. If you are dealing with stubborn pet stains that keep coming back, trust us to handle the job and get your carpet truly clean again.